In our second interview in our new series, we have asked industrial design student Elizabeth Clark a few questions about her work, and more specifically about her Leica concept design camera. 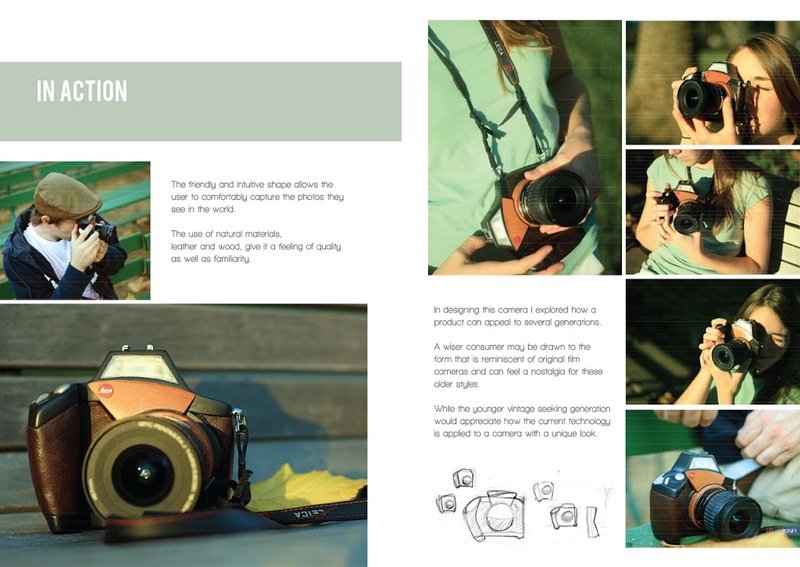 I stumbled upon Clark's work through a recent scholarship contest on Design*Sponge and thought it would be interesting to hear from someone who is about to venture out into the working world, and not as a photographer, but as a product designer. Liz is currently in her last semester studying industrial design at the California College of the Arts. I remember thinking about the design of objects as a kid when I redesigned toys to make them work better. I once took a wagon that I would pull a teddy bear in but the bear would fall out when I turned, so I added an extra seating area where I attached an elastic that worked as a seat belt to hold the bear in. Legos and making things out of clay always kept me interested. I remember drawing all the time and at one point my painting portfolio was full of paintings of chairs, so I thought why not actually make a chair instead of just painting it? 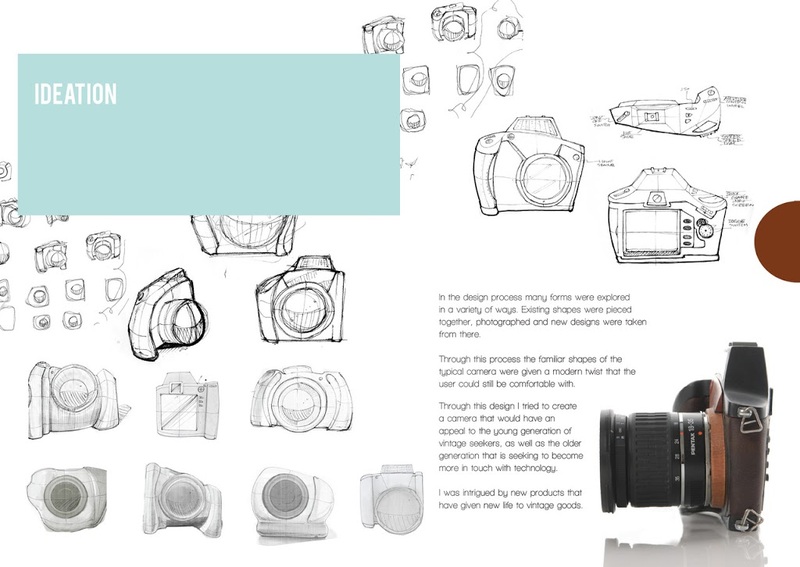 What made you decide to design a Leica? 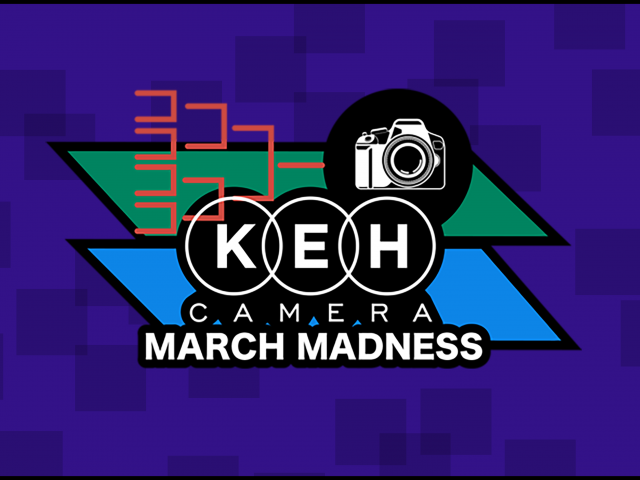 In a design class we were assigned the task of designing a camera. I chose to brand mine under the Leica name because of their simple, efficient, and beautifully crafted cameras. 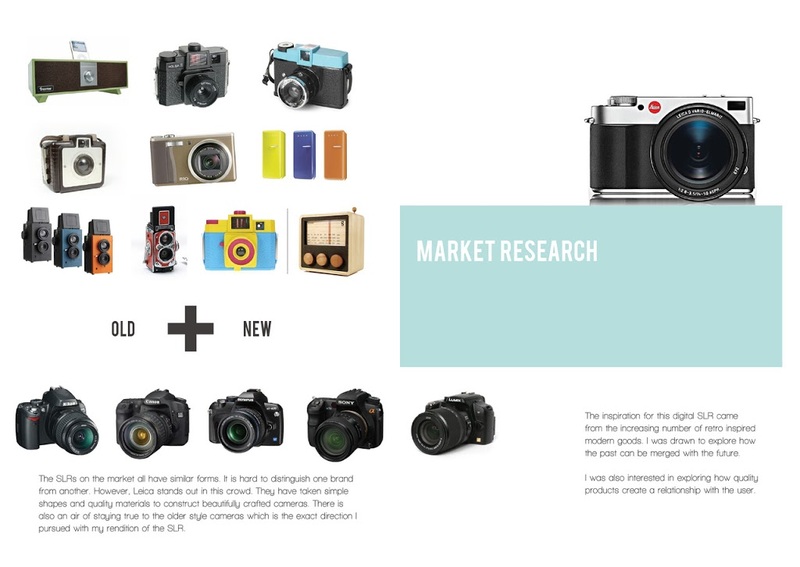 I also found that the SLRs on the market all have similar forms. Leica however, stands out from this crowd. 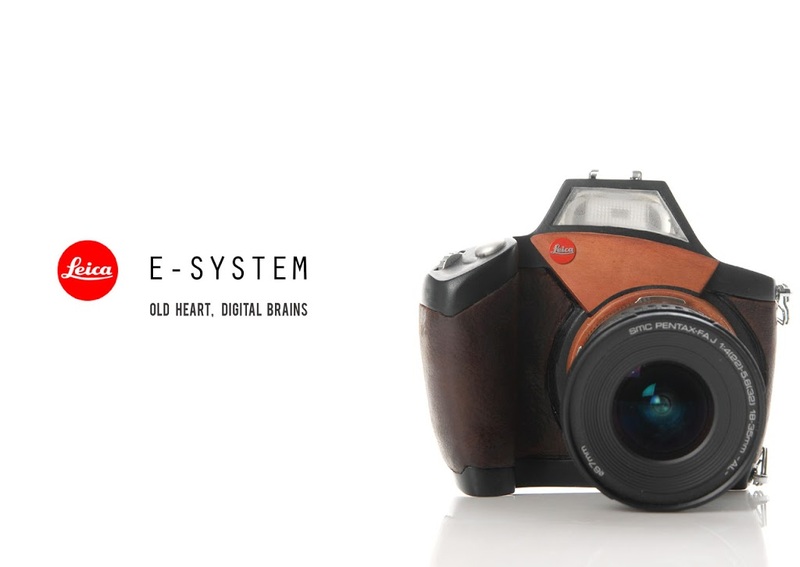 They have taken simple shapes and quality materials to construct beautifully crafted cameras. There is also an air of staying true to the older style cameras, which is the direction I pursued with my rendition of the SLR. Did you have to do a lot of camera and/or Leica research when working on this project? We had to do a lot of camera research, beginning with market research about what was out there, new technologies, as well as having to take 500 photographs with a digital SLR. Tell me about your design and creation process for this camera. 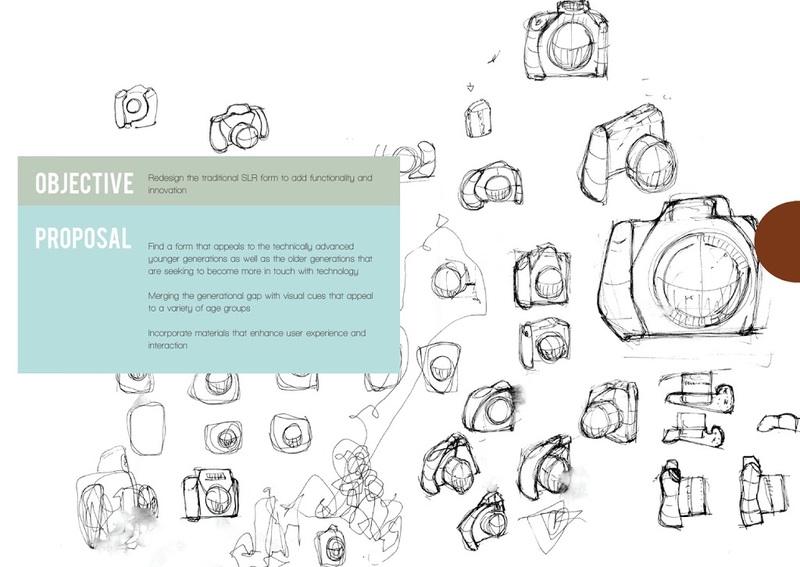 In designing this camera I started out again doing research around what was on the market, how cameras function etc. From that and through the inspiration the Leica brand gave me, I started sketching. I wanted the form to be friendly and approachable for young and old alike. In the design process many forms were explored in a variety of ways. Existing shapes were pieced together, photographed and new form designs were taken from there. Through this process the familiar shapes of the typical camera were given a modern twist that the user could still be comfortable with. I explored how a product can appeal to several generations. A wiser consumer may be drawn to the form that is reminiscent of original film cameras and can feel a nostalgia for these older styles. While the younger vintage seeking generation would appreciate how the current technology is applied to a camera with a unique look. The use of natural materials, leather and wood, give it a feeling of quality as well as familiarity. After the materials and form were settled upon, the creation of a model was the top priority. I cut out the rough form from a block of basswood and started the carving process. Cutting out the space for each of the parts using a Dremel and sander. Once that was all set, the model was painted and the leather stretched and attached. The screens were laser cut out of acrylic and fit into the model. In the end, the model came together just as I had imagined it, an exciting an relieving moment! 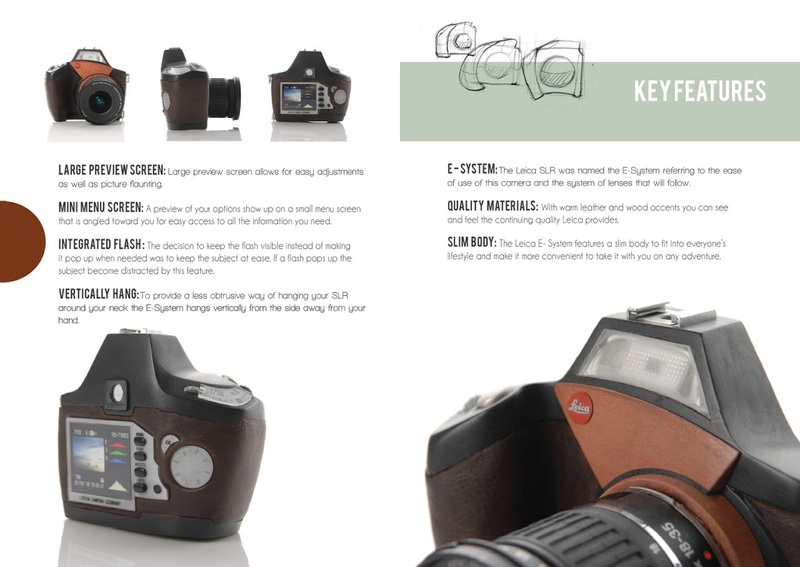 What’s your favorite design elements of the current or past Leica cameras? I think I like the M-System the best for its classic styling and perfect mix of materials. Have you submitted your design to Leica? No I have not submitted my design to Leica, but it has crossed my mind. 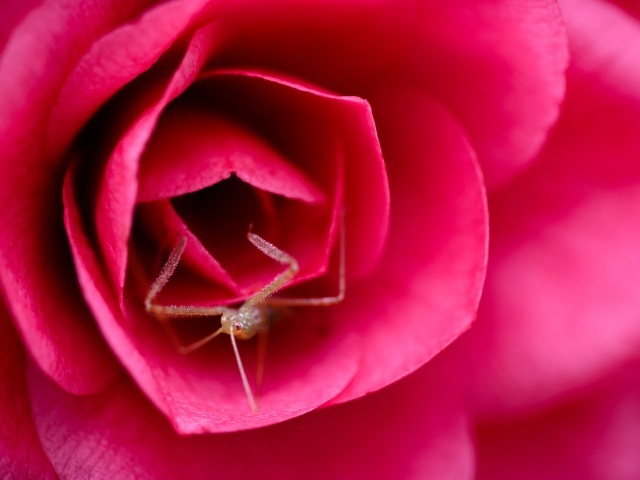 Is photography a hobby for you? Yes, I love taking photos and I would say it’s a hobby that I can’t escape. I always have a camera on me, from film to digital it’s a wonderful way to record moments in your life. Traveling is a huge form of inspiration for me. I was raised in San Diego between two cultures. My mom being from Mexico and my dad from California created a sense that there is not just one way of doing things. I feel that through experiencing different cities and cultures I can better understand how people from all corners of the world interact with objects. I recently spent half a year studying and traveling in Barcelona, Spain. Which again revealed yet another world in which objects and products are used in. The important part for me about designing products is to create something that can better someone’s life, be it by its function or by its sustainability or more simply by its relationship with that person. I hope that in creating simple, functional, and appealing objects I can get people to smile a little more. 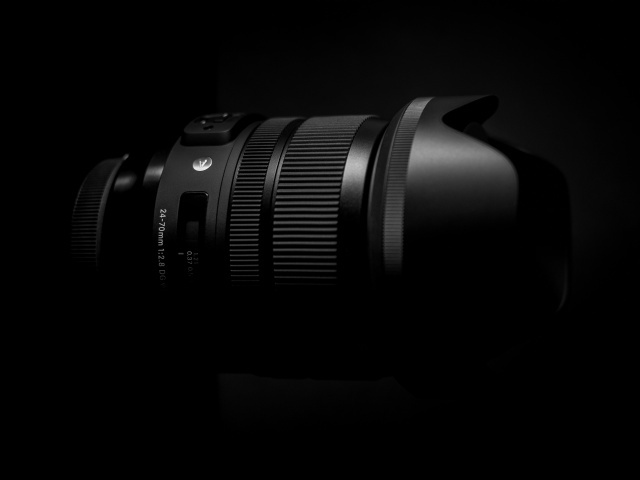 I also love objects, I love things that work well and look good doing it. I strive to create things that offer a simpler solution to an everyday task. I enjoy the handmade quality of objects especially if that is captured on an industrial level. I look at the quality of material and how that material can make you feel. I am drawn to leather, wood, and warm colors, which add an inviting presence to my designs. After gaining some work experience and hopefully doing some more traveling, I want to start a bag company. I am hoping this will happen within the next seven to ten years. I love objects that help you carry things. Bags, baskets, pockets are all things we use daily. The design process behind textile goods is engaging and different in that you have to design how a flat material will become three-dimensional. It is always exciting for me to think in this way. Thanks for the opportunity to contribute to your blog!